Since 2007, Forever Cheese has partnered with Carbonfund.org Foundation to actively support reforestation and renewable energy projects, demonstrating the proactive steps it is taking to fight against global climate change. Forever Cheese, importer of unique cheeses and specialty foods from Italy, Spain, Portugal & Croatia, has spent the past 10 years making donations that are the equivalent of reducing greenhouse gas emissions from over 23 million miles driven by the average passenger vehicle, or CO2 emissions from over 1,400 homes electricity usage for 1 year, or carbon sequestered by over 9,000 acres of US forest. This year they have invested 80% of their funds in U.S. renewable energy projects (including both wind and hydro-electric) and 20% of their funds in reforestation. Forever Cheese uses recyclable materials whenever possible in the office and is actively looking to increase their commitment to preserving the environment. This combination of both internal and external carbon reductions helps Forever Cheese reach their sustainability objectives while protecting important biodiversity and encouraging the shift to clean energy solutions. 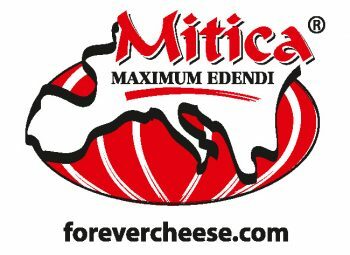 Forever Cheese is dedicated to sourcing the most unique and highest quality cheeses and specialty foods of the Mediterranean. For the last 20 years, owner Michele Buster has been importing and educating Americans on these unusual and fantastic products. Carbonfund.org, the leading nonprofit carbon offset and climate solution organizations, supports third party renewable energy in the U.S and abroad to reduce CO2 pollution. The support Carbonfund.org Foundation receives for carbon reduction projects offer important climate change solutions that benefits both planet and people. Carbonfund.org Foundation helps both social and environmental commitments by supporting third-party validated renewable energy, energy efficiency and reforestation projects around the world.